Pay ahead on your Paper Pumpkin subscription or sign-up and pre-pay for a new subscription and save money and get extra rewards during Sale-a-Bration! Paper Pumpkin just keeps getting better and better! 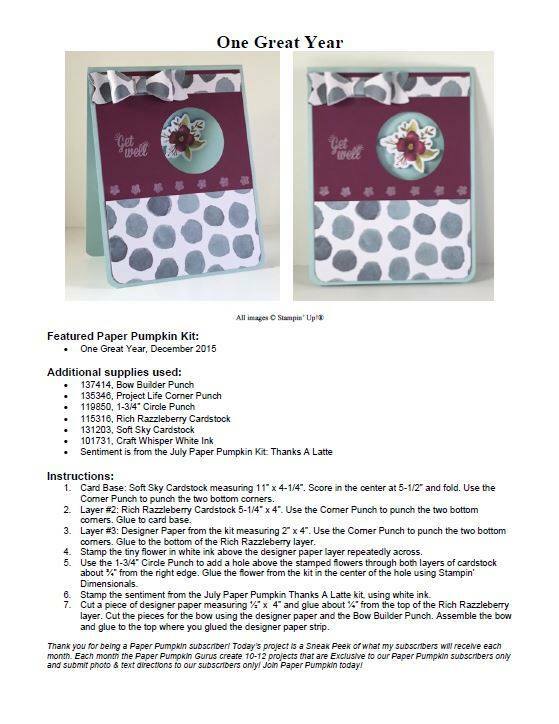 See some of the past kits on the Paper Pumpkin website here. 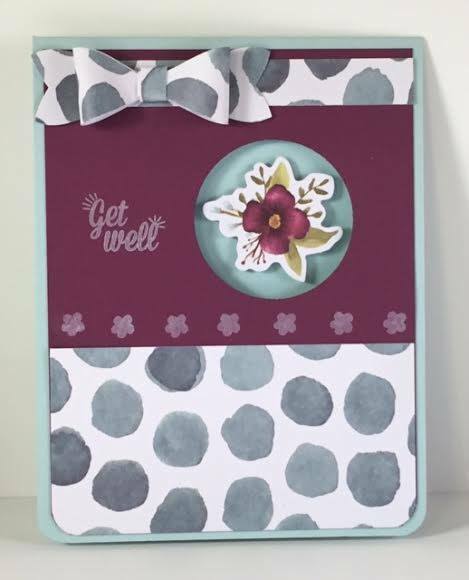 Each kit is a surprise, but always includes everything you need, including stamps, ink, and adhesive, to complete the project. 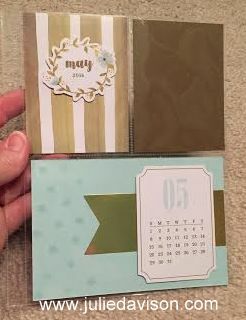 The December Kit was a set of calendar pages and a little gold stand. I love it! One of the things that I love about Paper Pumpkin is that you don't have to make the designed project. You can get creative and make anything you want. 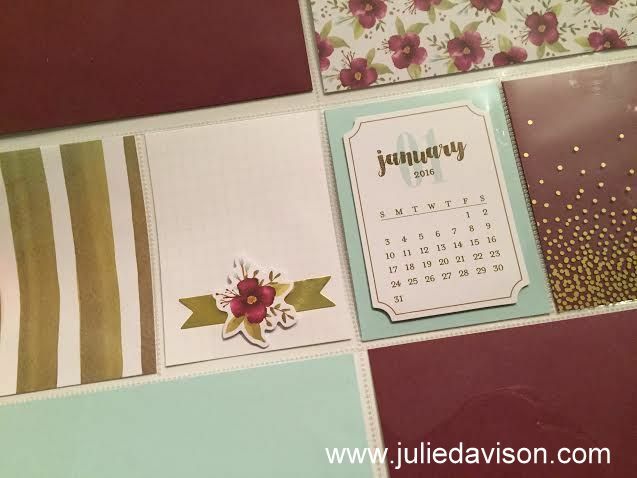 It turns out the calendar background pieces are 4" x 6" -- perfectly sized for Project Life! And the month stamps and calendar cards are perfect for memory-keeping! 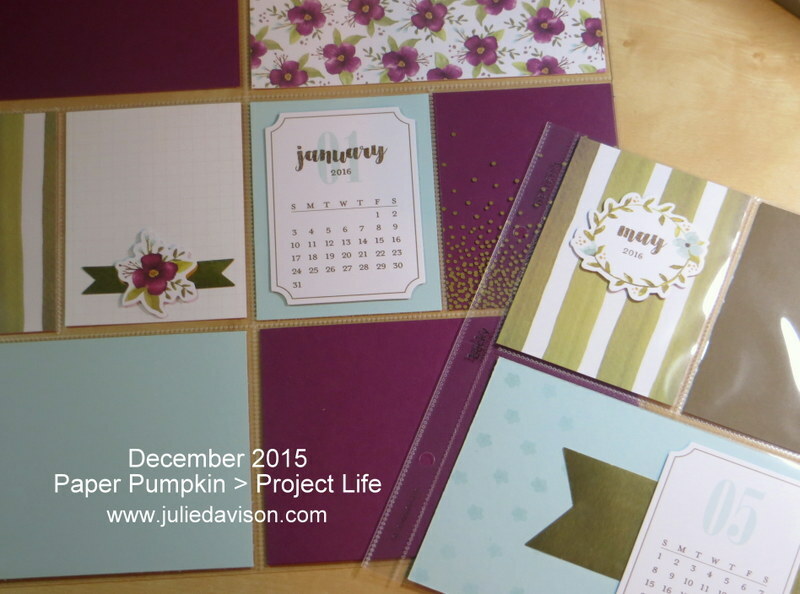 Check out some Project Life pages I put together with pieces from the December Paper Pumpkin kit. 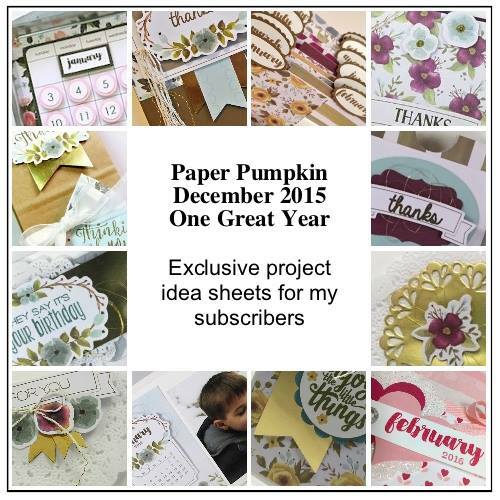 No matter what the surprise, I always have out-of-the-box ideas to share with my Paper Pumpkin subscribers. 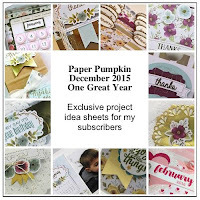 Each month, my "Paper Pumpkin Patch" receive 10-12 tutorials for other projects created with the kit. 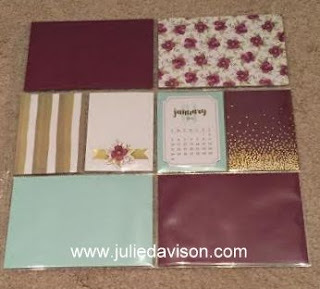 Here's a sample of one of the December project sheets. Take advantage of the Sale-a-bration special and get $5 off a 3 month pre-paid subscription plus a free Sale-a-bration gift!